Today was delightful, fun and interesting, in the main. But ended as a diet disaster 😦 Why? 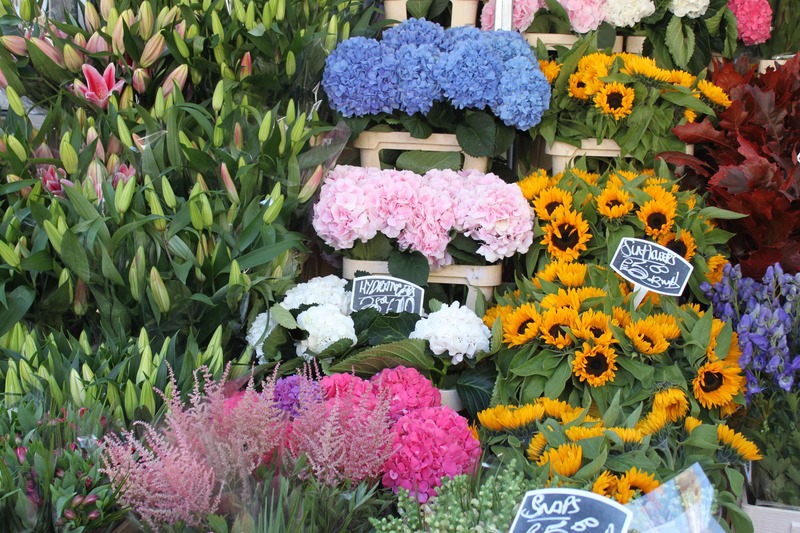 We were up reasonably early and out quickly so we could visit Columbia Road flower market. I had never been before so was really looking forward to it. And I was not disappointed. As well as the stalls selling mainly cut flowers but also plenty in pots, there were lots of quirky and original shops. The sun shone brightly and the sky was bright blue. I love sunny September days as the air seems so clear and the temperature was perfect for pottering about in. 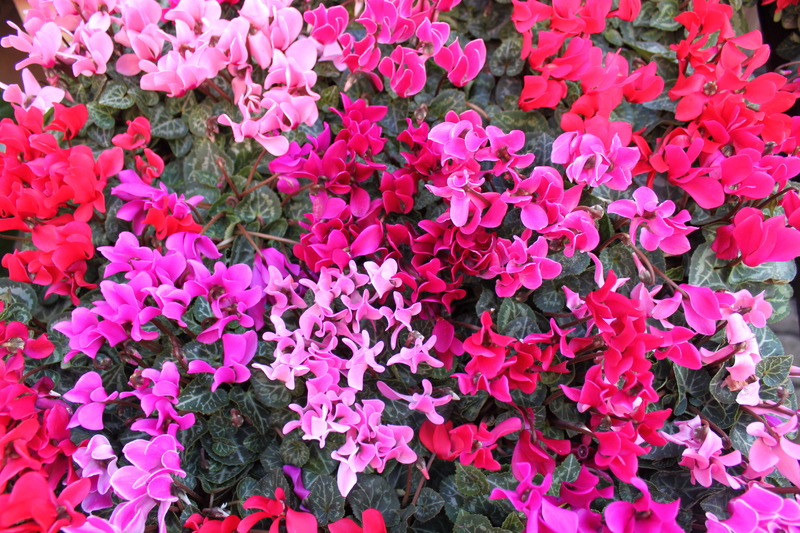 We started by walking down the middle of the road to admire the flower stalls. Some stalls sold a variety of flowers. 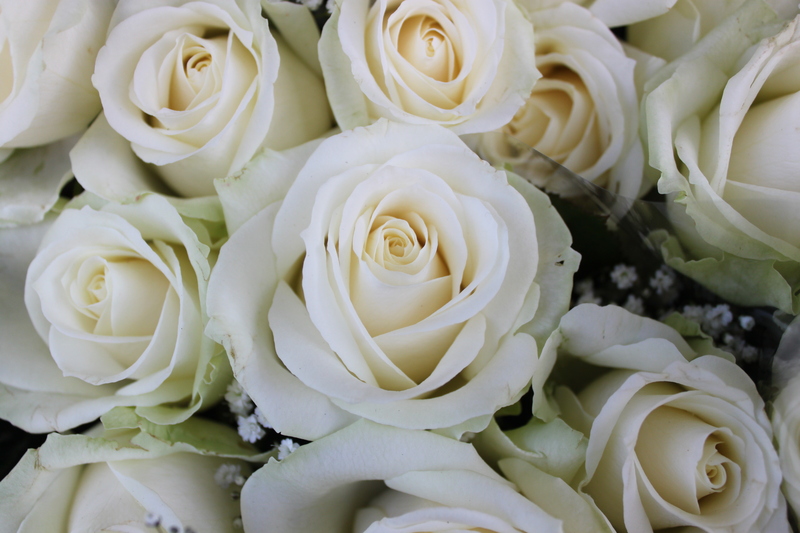 These white roses were some of my favourites. 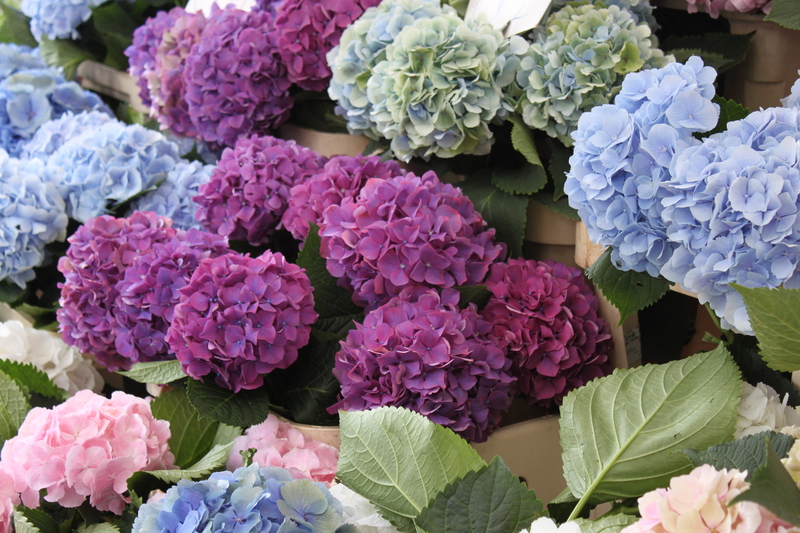 Michelle was after a potted white hydrangea – sadly she did not find one and instead bought 3 large blooms. It didn’t take too long before we were hungry so we went in to one of the many cafes. We asked the lady serving if there was a little table in the garden out the back for us. “Oh yes” she said. 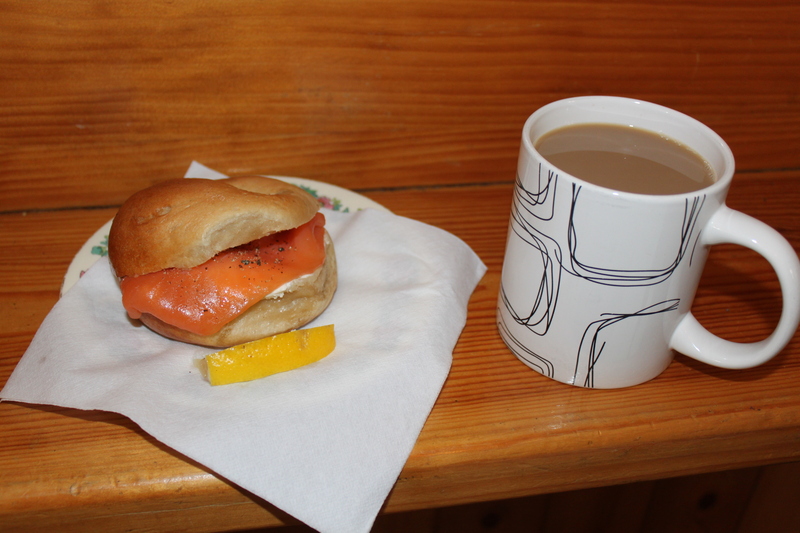 I asked for a latte and a smoked salmon bagel with cream cheese. I received the bagel I asked for but just a cup of instant. It was not a latte kind of cafe. 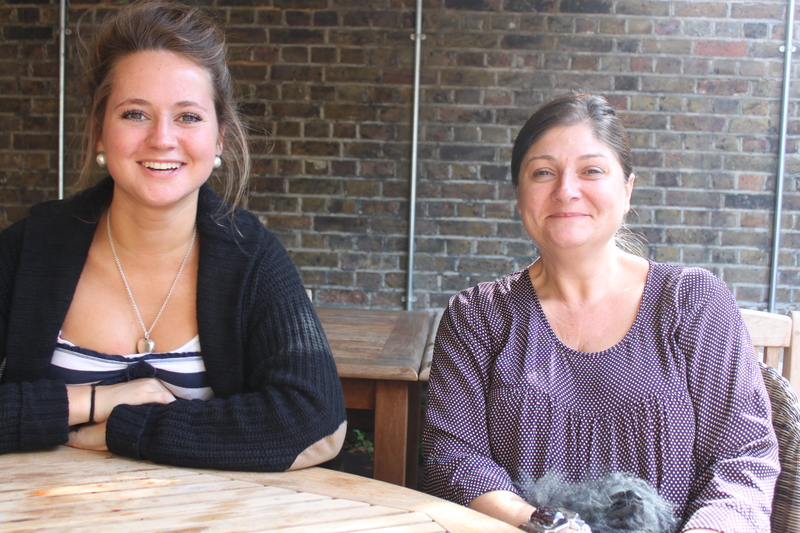 And they didn’t have any vacant tables in the little garden either! But it was a lovely chewy bagel and the coffee was fine and we did at least find a spot to sit and eat inside rather than having to stand. We went in to all the shops which were fascinating, made a few purchases and then wandered back to the car to drive back to Streatham. 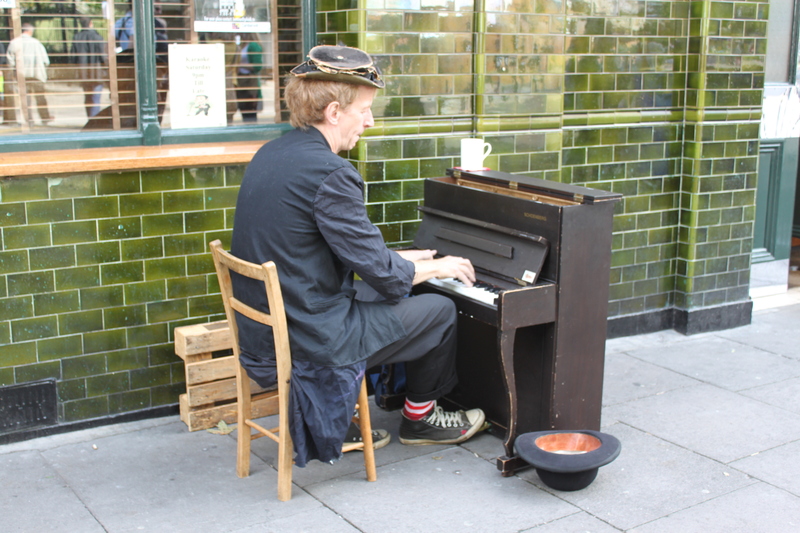 We passed this comical looking man playing his tiny piano and left money for the photo with his mournful looking dog, George. I hope George is happier than he looks. And I wish he could stop trembling. Amazing how hungry shopping can make you. 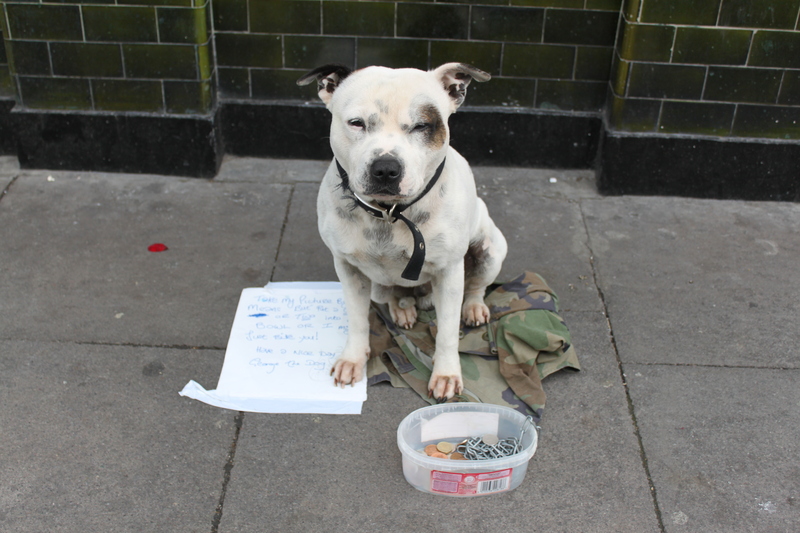 We were near Clapham when we all agreed we really needed a traditional roast dinner. 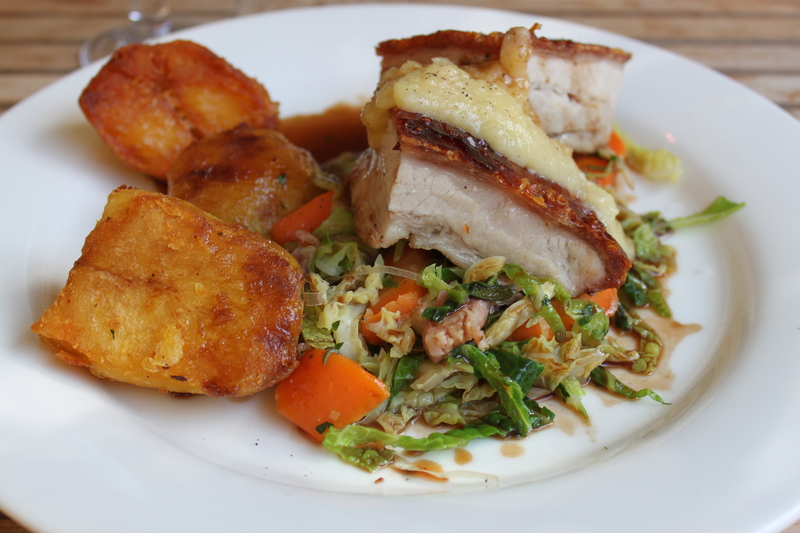 I had roast belly of pork with apple sauce, cabbage, carrots and roast potatoes at the Grafton House in Clapham. It was very tasty and there was lots of it. We ate our lunch in the garden where it was sunny and warm. I love long lazy Sunday lunches. We then took Lara to Ikea to get her kitted out for University. Michelle bought all the kitchen stuff (thank you VERY much, Fairy God-Mother) and I bought the bedroom and bathroom bits. We were in and out in just over an hour which is a great result. Unfortunately Michelle bought some amazing chocolates in IKEA which were to prove the beginning of my downfall. Why can’t I just have one or two? I must have had at least 20 – 30 and I can not even begin to guess how many calories/points they had. We reluctantly bade Michelle farewell and drove home. I’d had a really lovely day. I may not have won any healthy eating awards but apart from all the chocolates my eating had been ok. I was not particularly hungry but for some reason decided I needed a slice of cheese on toast and then some biscuits. I did throw the packet away in disgust (with myself, not the biscuits) after eating 3 of them. Why do I do this? I had a lovely day, I was happy, not feeling stressed but for some reason decided to pig out on chocolates and then continue to eat fatty foods when I got home. I feel quite depressed about it. I know Thursday was my birthday and I allowed myself to eat and drink what I wanted. But then I seem to have carried on for the next 3 days. I am a ridiculous woman some times and need to get to bed and get a grip tomorrow!! !